Thanks to Novage communication web design for such great service they offer our company. Tumps up!!! Wynn has been very prompt in answering my questions and clear my doubt whenever we have any issues with our website. Thumbs Up! Great experience with Novage Communications. Wynn and team did an wonderful job. Working with Novage Communications was a pleasant experience. They are very prompt in replying to enquiries and also quick in giving us a technical support for our website whenever we face issues. Thank you Novage for providing us SEO concultation. They teached us about onsite and offsite SEO strategies, it really works well. All the best to Novage Team. Provide Excellent & Magnificent Services In Website Designing. The Best I Have Had So Far, Thank You !! Wynn and her team offer us an impressive web design service, we are satisfied with the outcome delivered by Novage.Thank you so much for doing a great job!Highly recommended! Novage provide excellent service with knowledgeable back end support. They are always willing to help and answer to your doubt with the quickest response time possible. Keep up with the good service ! We had great experiences work with Novage Communications, Wynn and Yoga are supportive throughout the process. Thumbs Up! Yoga was very patient with our changing ideas and amendments for our new website. Her response was also prompt, polite and swiftly executed. Good customer service after the project finished. Suitable for working long term with them. Very patient and professional, giving lots of useful advice. Thumbs up! Work well with the team and what was expected of them was delivered on time. Beautiful design and input from Wynn and her team. Definitely a great team to work with! DK & Wynne: Great development team and IT troubleshooting team to work with! Excellence team and fast respond. They will do their best to meet our needs. Fast response and quality work, will come back again. Team was excellent in giving ideas and prompt on their replies. Very professional and would definitely recommend anyone building their website to use them. Thanks Novage and happy working with you! Great team with excellent customer services skills. A Product delivered with utmost satisfaction. Keep It Up! We strive to offer our clients the best customer service possible, take a look at some of our Google Reviews below which show how happy we make our clients. I engaged Novage Communications to design and host a website for me at a competitive price. They delivered within the promised time line and i would say, the website was professional and was of high standard. After I made the full payment, the company continued to be fully professional and make changes to my requests because i am such a perfectionist. I have to say I am impressed by this company and will certainly engage their services again in future. I just wanted to share a quick note and let you know that you guys did a really good job with our corporate website revampment. I’m glad we chose Novage as their professionalism and competence really make it a breeze to work with them. Will definitely work with them on future projects. We had a very good experience working with Novage team. They give professional, suitable advice and recommendations, also patiently helped us to revise all the requirements. Our website turned out great. After launch the website, they provided training for web maintenance and modification, these operations are easy and simple to get started. Thank you Novage, I will highly recommend your service to my friends who need web development. We are very happy with the improvements that Novage Communications delivered. DK and team recognized our needs and wants and delivered on time and on budget. Everything they’ve done has been aesthetically and functionally awesome! I highly recommend Novage Communications for all website needs. Thank you for your patience and your great job. Engaged Novage Communications to help design our website. We really appreciate the services provided by Wynn and team. They are very efficient and helpful in handling our queries. Thank you for the excellence service provided! Will definitely recommend to anyone who wishes to set-up/revamp their company website! We have worked with Novage Communications for 3 years, they provide us the best services which is fast and high-quality. If you are looking for a long-term digital marketing partner, Novage should be the 1st choice. They do what they promise. Wynn and team was quick to accomodate and implement our website job from start to end. For business owners who wants a no frills service provider and an accomodating account manager, Novage is highly recommended. Special thanks to Wynn and DK from Novage communications for doing up 2 wonderful website for Trio Films! We went back to them again this year for our website revamp after getting one done few years ago. They are really helpful and efficient in replying to emails and whatsapp! Love working with them. Very reliable services and the website turnout looking superb. Definitely recommended! Wynn and DK were very helpful in resolving our website issues and answering our questions, before and during the job. Quick responses to email enquiries and they were able to work independently with our IT to get the job done. Thanks! I just wanted to share a quick note and let you know that you guys do a really good job. I’m glad I decided to work with you. It’s really great how easy your websites are to update and manage. I never have any problem at all. My new site is so much faster and easier to work with than my old site. It used to take me an hour or more to update a page and I would still sometimes screw things up. Now it’s almost like having a designer right here with me. I just choose the page, make the change and click save. It’s so simple. Thanks, guys! The team is knowledgeable, responsive and helpful to us during the website revamp process. We asked many questions during training on how to maintain our website in case we need to make minor revisions They were very helpful to teach us how to do it. Next, I also like the 1 year complementary maintenance to help us on minor updates to our website. The team at Novage is very responsive to my request on website maintenance. My requests were also delivered timely based on the deadlines that are assigned to them. Person in charge is always attending to my needs and easy to work with. Good work! 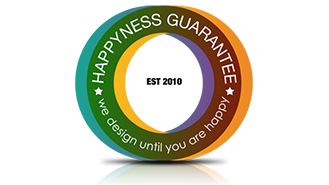 We want you to know that we are very pleased with the quality of service and product your company provides. We sincerely appreciate your responsiveness (Wynn) and the swift support by rest of the team. The website design and the wordpress interface provided to us are very professional and straightforward to use, unlike other confusing system that we used before. We are glad that we have made the right decision. It was a pleasure working with DK and Wynn from Novage Communications. We've had some horrible experiences with web developers in the past, so it was great to finally be able to work with good people who are not only competent in their work, but also able to take on requests for changes without complaint, as well as quickly resolve issues that cropped up due to the complexities of our website. They took on our challenging designs and fleshed them out perfectly, providing us also with a backend system that was easy to use. A fantastic team who understands and delivers, and one whom I would not hesitate to work with again. Highly recommended. Novage proved to be professional and efficient in web content creation and administration.Throughout the entire process, Wynn and her colleagues were knowledgeable and patiently met all our requirements and queries.Upon completion of the project, Novage continued to provide timely and effective service.Thank you and keep up the great work! The Novage Communication team is very committed to providing fast, thorough and customer oriented service. They are always available when needed. They provide thoughtful advice and well-designed websites. Our website is very user friendly and easy to navigate. They are considered part of our company's team and we have no hesitation recommending them to potential customers. We have chosen Novage to be our website developer and are happy to say that we were not disappointed. Novage did a great job developing our website. Wynn is knowledgeable in the area of Web Development. She indeed is a developer and can build a site from scratch. She listens to our desires and offered professional advice and delivers an outstanding product in a timely fashion that surpasses our initial desires.Working with them is a breeze. Compliance wholeheartedly recommends this company to all its partners and friends. Novage takes customer support seriously, and that ethic is reflected in our client reviews. Chris was very helpful &provide a lot of good ideas &suggestion. He also introduce a lot of service that we did not thought of DK / Yoga were very helpful us work out the website that we really want. Overall Novage were very helpful &willing in helping companies build the website &also takecare of us after service. We came in touch with Novage for web designing and SEO services when we start our new business for corporate gifts. Novage has been professional and helpful throughout the project. Response time to my queries are fast and most importantly I am able to see result from their work. We have finished the website design and development within a month, the designer was interactive and gave us revision rounds till the time we were satisfied with the overall look of website. We also got the effective result for Google ranking, about 10 keywords rank to Google 1st page within 6 months. The inquiry came in since second month after apply SEO. Good job Guys. Recommend to all businesses owner. It has been a pleasure working with Novage Communications as the team attended to our request very patiently and promptly. Yoga addressed our concerns very thoroughly and allowed us to get a better group of how to edit our website content. We are really grateful for the time take out and their agreement to accept the project at a low cost. We look forward to engaging their professional services in the future if need be. It is with a great sense of appreciation that we extend our heartiest THANK YOU to the entire team of NOVAGE COMMUNICATIONS for having displayed immense skill, dedication, and professionalism in conceptualizing, creating and launching an outstanding website for TANMONDIAL Pte. Ltd. The team has worked relentlessly at understanding the needs of our company and the necessity to have a unique new look for our website. With numerous meetings, reviews, feedback and prompt follow-up they have created a magnificent piece of Quality work that speaks for itself. Word’s fail us in commending them for all their efforts… Let me suffice by Congratulating the Team on a Job Well Done and indeed much appreciated! Our website speaks of the depth of your expertise! For all our future needs rest assured we will definitely be reverting back to you! I enjoy working with the Team at Novage Communications throughout the whole process of my company’s ecommerce web store. They have a good understanding of our business requirements and shared their passion, ideas on the design and technical developments. And they're after project support is highly commendable. We often get fast & feasible solution whenever a situation required. DK from Novage Communications delivered excellent service in the development of Qliko’s website. He was able to turn the job around on time at a very reasonable cost. His role exceeded that of a mere developer; he proactively suggested how certain aspects on the front-end and backend management can be improved, and subsequently delivered on the improvements. We are glad we engaged Novage Communications as our reliable website vendor. Novage has given me a lots of help throughout the whole website project, the person in charge served me with good manners and attitudes. Whenever I have questions or indissoluble, they are really patience in giving me the explanation and answers. What I can say is, Novage is really trustworthy. Thanks! Nam Sun Electronic & Air-conditioning Pte. Ltd. It is just like a story from nothing become something, and Novage Communications is the one who make the whole progress awesome and brilliant! We’re NOT ONLY engaged them for the web design project as they also NEVER DISAPPOINTED us for designing our company logo, branding identity and copy writing, we’re really happy with all the results. I would strongly recommend any of you to engage them for your business, because my first time approach has proved everything. Their efforts, patience, helpfulness and sincerity are all a company needed! Well done and thanks Novage to lead us into a better business condition. Thanks Wynn and her team for the committed service and we look forward to engage your services in the near future. Thank you! We are very pleased with the service Novage has provided, and we will definitely re-engage Novage should we have any other maintenance to be done in the future. Thank you! Novage Communications has really an inspirational rise and we got to associate with them for our web design, brochure design, and brochure printing urgent needs. The project manager, Wynn is very cheerful, responsible and would always go to extra miles to assist us whenever we approach her. They also visited our event for photo shooting, and we must say that they are impeccable. Did a brilliant job in shortest time with great quality! Would recommend them to all for their services. We are glad we engaged Novage Communications as our reliable website vendor.